Anyhoo, enough with my weather rambling. I'm swinging on in today because I'm up on A Jillian Vance Design blog! Here's a little peek for you. 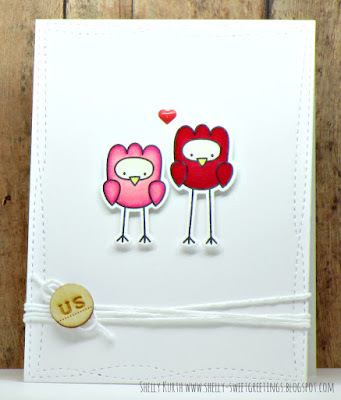 I'd love it, if you'd swing on over to A Jillian Vance Design blog and leave some love there! Thanks so much for stopping by! Also, lately my crafty mojo has something else going on!...I keep thinking of all these things, but then when I actually try and create them, nothing. Not one thing works. So, soon I hope it will return and I'll be posting more frequently. ;) Sorry about my 'here and there' posts. Anyhow, I'm swinging on in because I'm up on A Jillian Vance Design blog, today! Here's a little peek at my card. It's been nothing but FREEZING COLD here in Florida!! lol I mean the highs are only in the low 60's if we're lucky, and the mornings have been in the mid/upper 40's! !...Say what!?!...Yeah. 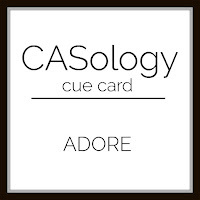 I've been keeping my kids warm and home due to the temps (understand, we walk to school and we hardly have any clothes that are geared for this kind of cold!...We are NOT use to this! We feel like we can't even breathe outside because it's that cold! lol). Also, my daughter has strep, which I hear some coughing from my boys but hopefully that's just because of the dry cold weather and nothing else! Anyhoo, besides telling y'all about how cold we are, today I'm up on A Jillian Vance Design! Here's a little peek for you. 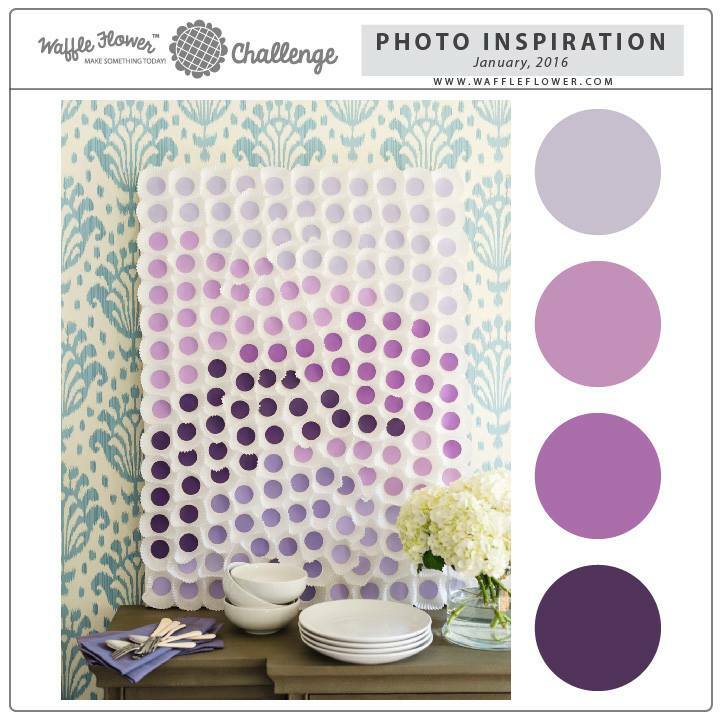 I'd love it, if you could swing on over to A Jillian Vance Design and leave some love there!! I'm quickly swinging in on this Sunday, to share the winner from my 'just living is not enough...' post. Congrats, LauraJane!! Please email your 'snail mail' and a little gift of 'hope' will soon be on its way to you! 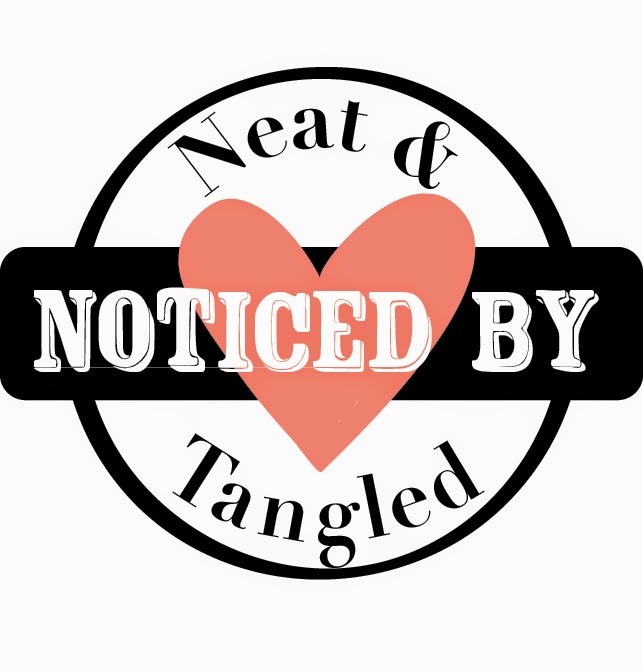 Thank you to everyone that read and left comments on my 'just living is not enough' post...truly means a lot! 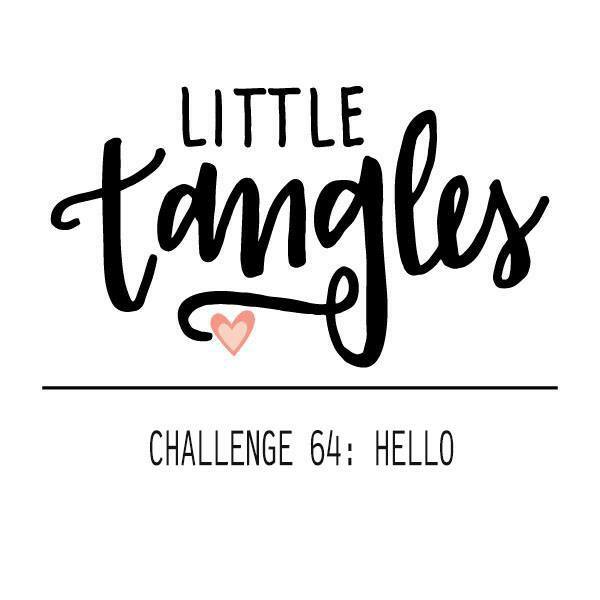 I'm up on A Jillian Vance Design blog! 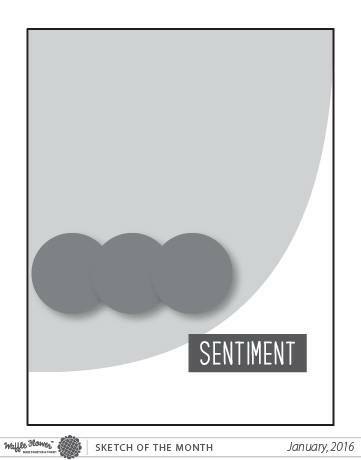 Here's a peek at my card. 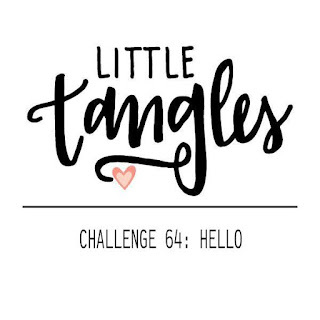 I'd love for you to swing on over to A Jillian Vance Design blog and leave a comment there! :) Thanks so much! Hope your week is off to a good start?! 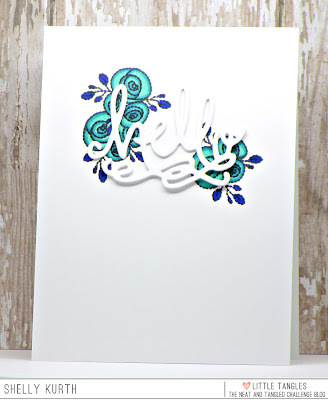 I'm swinging in today to share my card for the Waffle Flower Challenge! 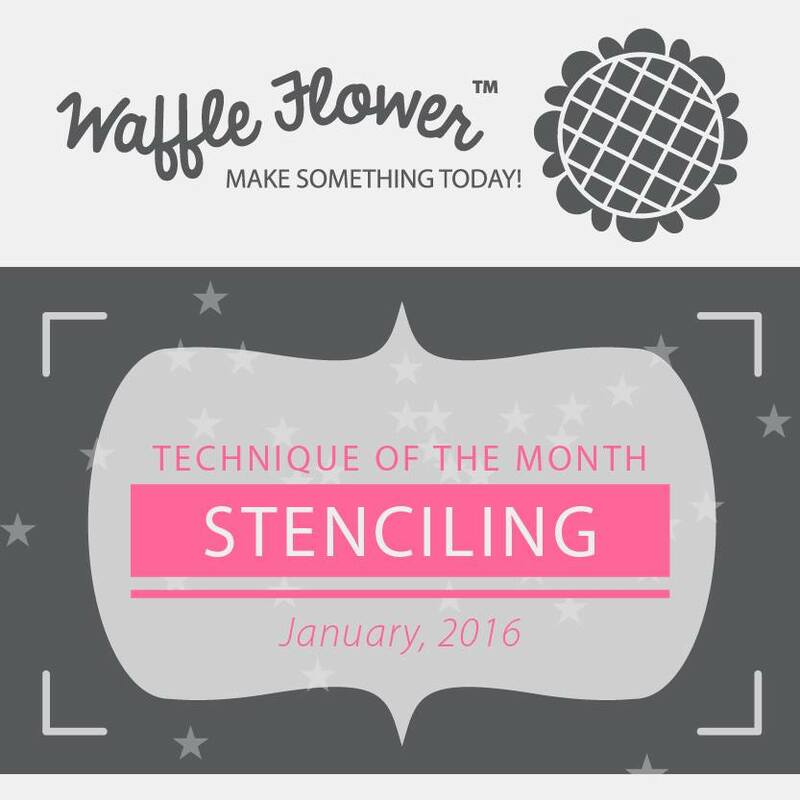 If you haven't seen it yet, this month is all about stenciling! 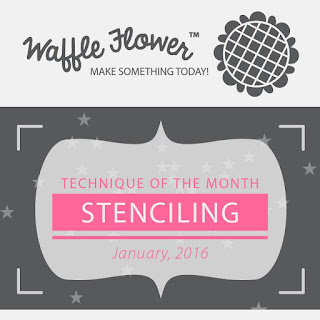 To do my stenciling, I made my own stencil using Waffle Flower Crafts Tiny Wings die. On a piece of scrap paper, one by one I placed each butterfly where I wanted it and ran it through my die cutting machine. Thus giving me my stencil. On my card base, I stamped a few 'floral' images from Waffle Flower Crafts Loved stamp set, using a light grey ink. 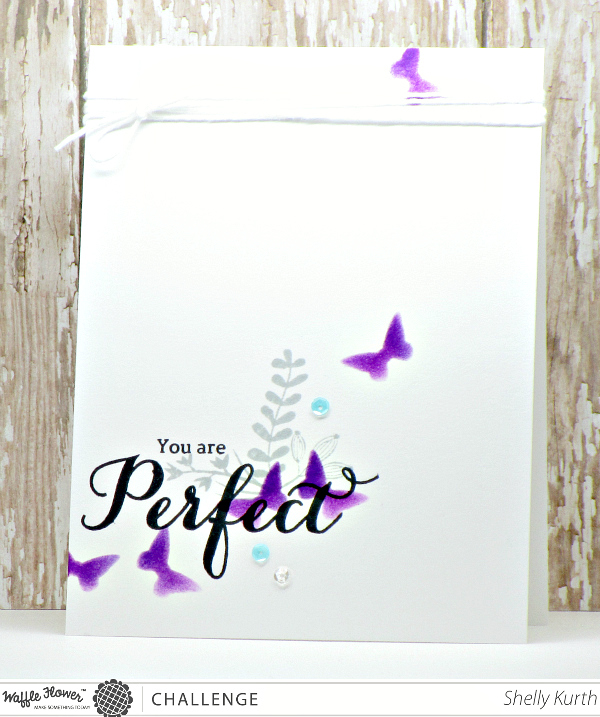 After, I placed my stencil over my card base and used a couple different distress inks in purple. 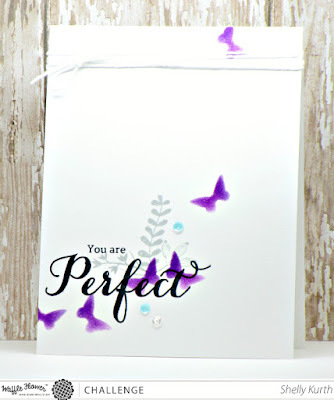 Once done, I removed my stencil and then stamped on my sentiment using Waffle Flower Crafts Loved stamp set (for the 'you are') and the In Every Way stamp set (for the 'perfect'). To finish things off, I added a few sequins and some white twine. Hope to see you there! Thanks so much for stopping by!